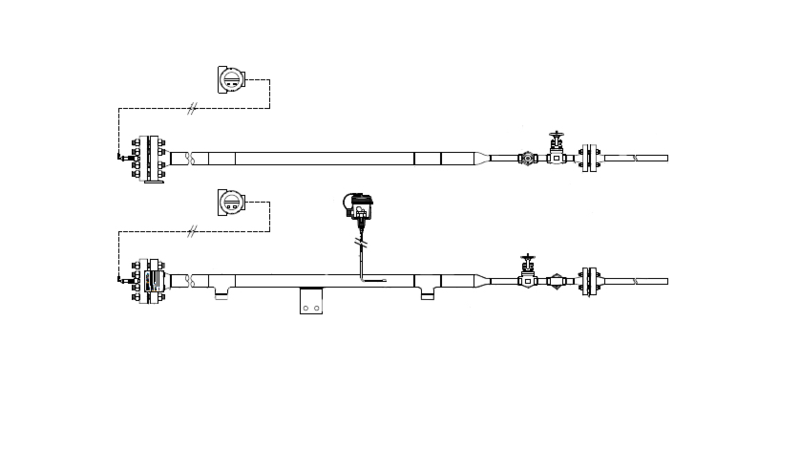 Managing thermal expansion in liquid level measuring is common in many refinery and chemical applications to put liquid level gauges outside the vessel or tank. In this configuration, the gauge is exposed to atmospheric conditions that may affect the temperature of the liquid in the gauge’s chamber. Thermal expansion or contraction may occur depending, among other things, on how hot or cold the process liquid is and how far away the gauge is from the vessel. Good insulation can minimize the heat exchange; components with steam or electric heat tracing, but there still may be a significant change in temperature that can lead to differences in the liquid level indicated by the gauge and the actual liquid level in the vessel or tank. WIKA has a complete solution for those customers concerned about how differences in temperature in liquid level indicators may affect measurement of liquid levels. A temperature element can be attached to the magnetic level indicator or to the level chamber making it possible to measure level and temperature at the same time. Using the data collected from this level plus the temperature measurement, engineers can then see how the temperature difference between the liquid in the process vessel and the liquid in the chamber of the external gauge affect liquid level measuring. WIKA offers several electrical temperature measurement products. With its characteristics and variety of options, the V-pad® tubeskin thermocouple assembly is most commonly used with level gauges. The V-pad is a flexible, insulated sheathed cable with mineral-insulated internal leads and a non-insulated point that can be welded to the surface of the wall of the external chamber. By welding the V-pad to the chamber, the grounded measuring point becomes part of the surface and provides accurate measurements of the inner chamber temperature with a fast response time. 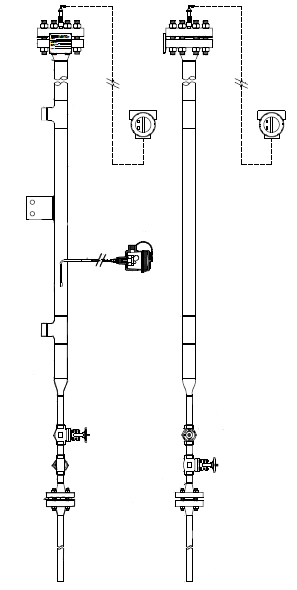 Other ungrounded thermocouple designs cannot measure the inner chamber temperature to the same degree of accuracy (see drawings below). WIKA offers several sheath materials resistant to corrosion, high temperatures, hydrogen chloride, halogens, and sulfurous fuels, ensuring that there is one that fits your application. 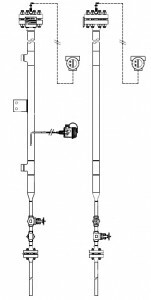 The V-pad thermocouple comes in several diameters, and is shock resistant. Thermal expansion/contraction can compromise the accuracy of the data from your external liquid level gauge. Monitoring the temperature at the external chamber can help managing this problem. Call WIKA’s experts. They will review your application and help you find the option that better fits your needs.